The calendar year has only just begun, but already many are voicing fears over volatility in the global capital markets. An update from Lothar Mentel, CIO of Tatton Investment, highlighted a nervy opening to play in 2016. The opening days to 2016 have been some of the worst in history for China’s freefalling stock markets. The Chinese markets now have a 7% ‘circuit breaker’, meaning trading will stop if the value goes below (or above) 7% in one day. In the first week of 2016, this limit was reached twice – taking only 15 minutes on Thursday 7 January. 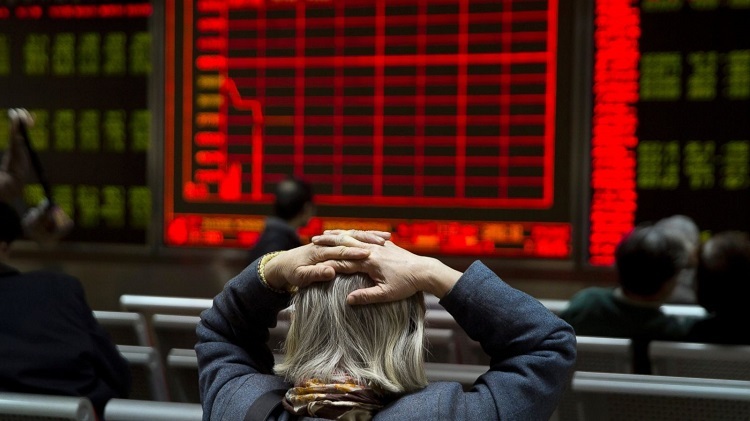 This volatility comes hot on the heels of last year’s China slowdown. So is Mentel worried about China? Speaking to CNBC, Mentel challenged the idea that China’s slowdown was worrying in itself, pointing out that although growth had slowed from ~12% to ~7% of GDP, these were still healthy numbers. Mentel predicted a “soft landing” for China after its phenomenal growth over the last decade, predicting it would still “contribute to global growth” in the near future. Meanwhile, lower commodity prices, particularly low crude oil prices, look set to release extra consumer spending power around the world. These plunging oil prices have been said to underlie Britain’s flirtation with deflation over the last twelve months. There seems to be no end in sight to tumbling oil prices. Whereas previous instability in the Middle East saw prices rise, the destabilizing effect of heightened tension in the area has been undercut by an end to sanctions against Iran. This follows their supposed submission to the US over their nuclear proliferation program. Iran will soon be free to sell oil internationally, meaning supply will increase and prices are expected to drop even further – some predicting as far as $20 or even $10 per barrel. The Guardian’s Nick Fletcher expounded, pointing out that since 2008, markets have been supported by government stimulus packages and low interest rates. As interest rates look likely to rise, this support may be withdrawn, causing markets to tumble. As key industry figures like Lothar Mentel continue to warn of the volatile economic climate, it is increasingly important to seek professional financial advice. gpfm’s Hertfordshire retirement planners can help make sure you are prepared for the future, no matter what the stock markets have in store. Get in touch today at enquiries@gpfm.co.uk or call 01992 500 261 now.